Two spacious and tastefully furnished Sea View Villas featuring expansive views of the Indian Ocean from the beach front villas. Our Villas have spacious open-plan bedrooms, each with its own private veranda. The interiors are enhanced by traditional white, touched with ocean blue and green. 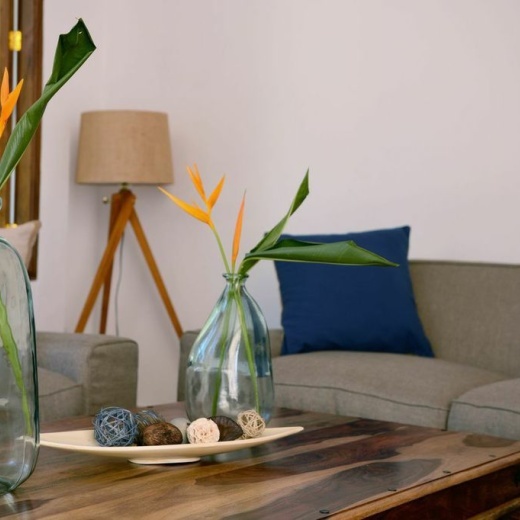 Every piece of furniture is hand-made from indigenous wood, creating a relaxed welcoming ambience. All bathrooms have bathtubs and showers. Villas are also equipped with television sets, electronic safes, a mini bar, as well as a tea and coffee station. Indulge in your favorite beverage from your in villa refreshments corner, laze in the comfort of your own bathtub or freshen up under the spacious shower. Delight in the splendors of the scenic coast and turquoise waters of the Indian ocean in the privacy of your own covered veranda or relax on your personal four poster wooden king sized bed elegantly draped with a mosquito net. 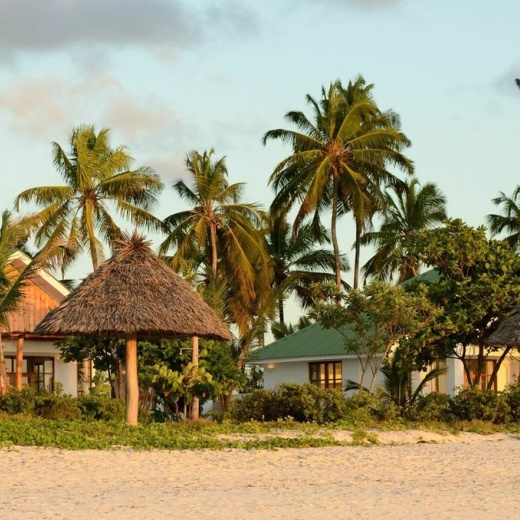 Located on the stunning white sandy Paje beach on the seductive East Coast of Zanzibar Island, this an all villa resort lies ideally secluded near the charming village of Paje, only 45 minutes drive from the Zanzibar Airport. The resort offers private villas Specially designed for optimum views of the sea, amidst lavish tropical gardens and white powdery beaches, allowing them to experience barefoot luxury. 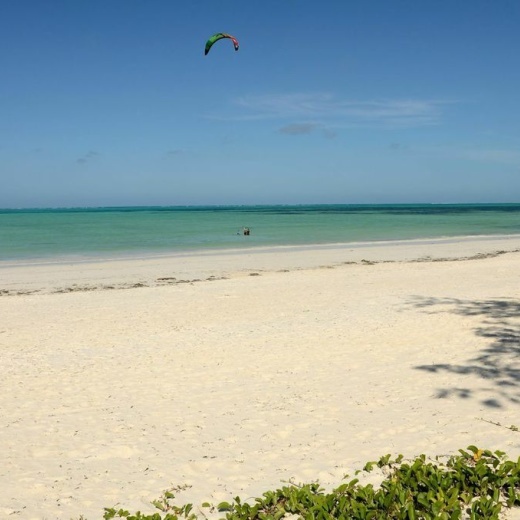 The Paje Beach is known to be amongst the top three beaches of Zanzibar Island. The glistening white sandy beaches and warm turquoise waters promise to allure its visitors. 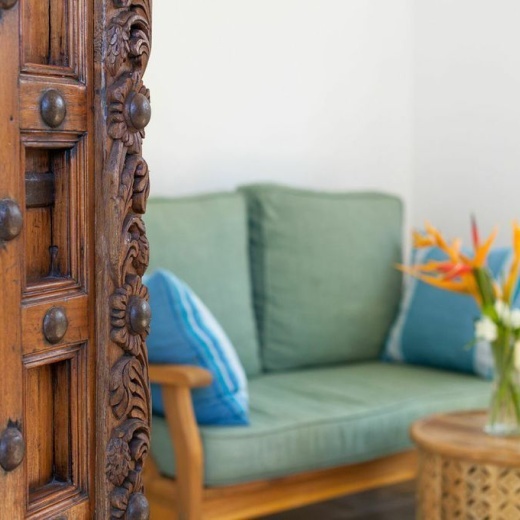 The property is tastefully decorated with handmade wooden furniture and tranquil colours of the ocean which blend seamlessly with the natural surroundings, creating an elegant yet relaxed atmosphere. Delicious lunches and dinners can also be enjoyed outdoors on your verandah. The menu and meals are inspired by island's fresh ingredients and spices and have been designed to satisfy our most fastidious eaters, offering a wide assortment of dishes and local specialities to indulge our guests. Particular attention is given to ensuring that our guests are offered a large selection of dining options to accommodate and satisfy all palates and dietary restrictions. 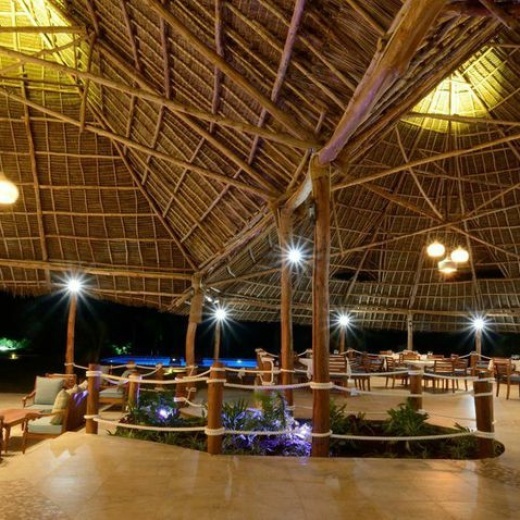 The main bar adjacent to the restaurant will cater to drinks all day long for the beach and the poolside, but will really come into its own from the early evening when it will become the focal point for guests ready to enjoy their evenings. There is a library located adjacent to the Bembe Restaurant and themed as an area where you can escape to the bygone Safari era through the old maps and books. Ideal for your after dinner coffee, drink or for a game of ‘Bao’ . A selection of worldwide books, including many African titles, are on display and available to our guests. Board games are available for your pass time. Let our Spa therapists pamper you with their soothing treatments in our Blossom Spa. The tranquil surrounds will take over your spirit and rejuvenate your well being. With 2 treatment rooms, luxury appointed outdoor showers and a bathtub laid out in total privacy, prepare to escape from your days hectic schedule. A post relaxing area arranged among the private garden landscaped for the visual serenity of our guests. Also a modern air-conditioned gym is available at Kisiwa for free use to its guests. Elliptical machine, weights and treadmill are there for the Guests wishing to continue with their indoor fitness activities. Shower and locker room facility available. The centre is not supervised and restricted to ages above 18yrs. - For children under 2 we will provide a complimentary baby cot.